Spragga Benz Pop It Off REMIX Ft. Smoke DZA and Sierra Leone premiered on Worldstar! Check out the video! New track Pop It Off from Spragga Benz and Sierra Leone premiered on Worldstar Hip Hop today! It’s already got a lot of love online! Check it out here! Spragga Benz Nothin But Love premiere on Worldstar today! Benz and Wade’s first hit collaboration “Y (feat. Carly Simon)” ruled JA in the mid 00’s and now “Nothin’ But Love” promises to be the lovers rock jam of summer 2014. Spragga Benz “Nothin’ But Love (Feat. Black Pearl)” on iTunes. 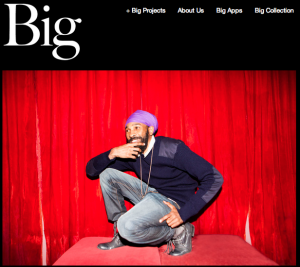 Big Magazine has done a great feature on Spragga Benz that mentions his forthcoming new single “Nothin’ But Love (Feat. Black Pearl)” produced by WonderSound’s own Peter Wade. The article was written by Anicée Gaddis and Benz & Pearl were photographed in NYC by Jason Lewis. “Nothin’ But Love” is out next week on RPR/Brukkout. You can pre-order Spragga Benz “Nothin’ But Love (Feat. Black Pearl)” now.